While managers are reviewing their direct reports, managers have the ability to toggle back and forth between self & peer reviews. From your profile page, navigate to the review cycle. 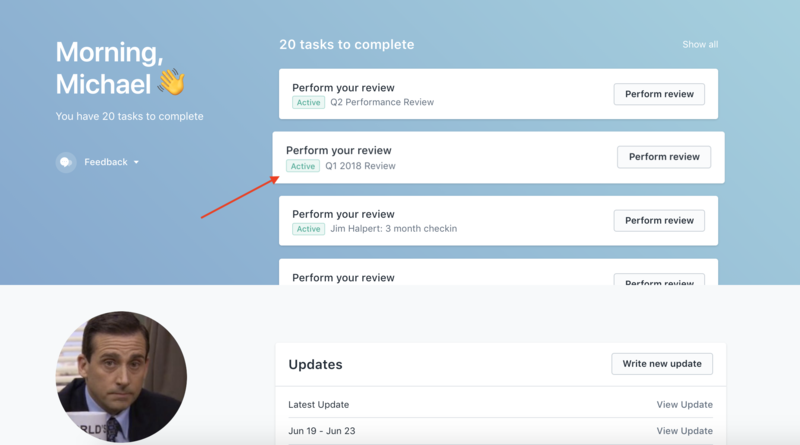 Once you're in the review, you'll see a list of people on the left hand side, including your direct reports. 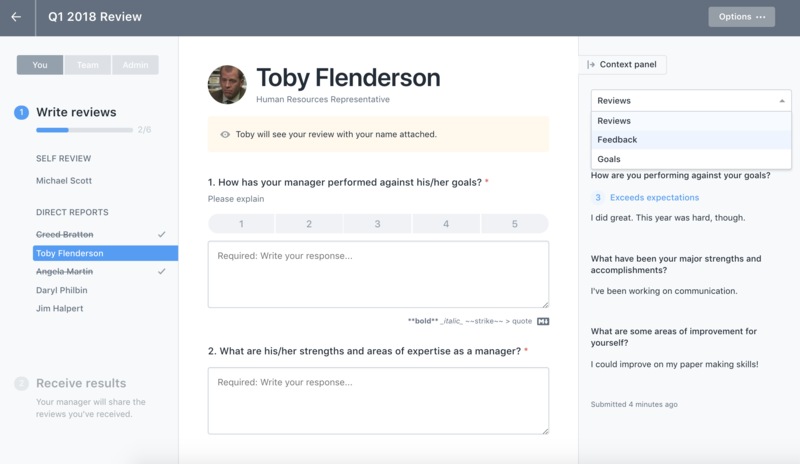 Click on your direct report's name, and you'll notice the right hand panel which gives you the ability to toggle between Feedback, Goals, and Reviews. If you want to see your direct report's self assessment or peer reviews, you can do so by clicking "Reviews," and under "Reviews," choose "Their self review" or "Their peer reviews." 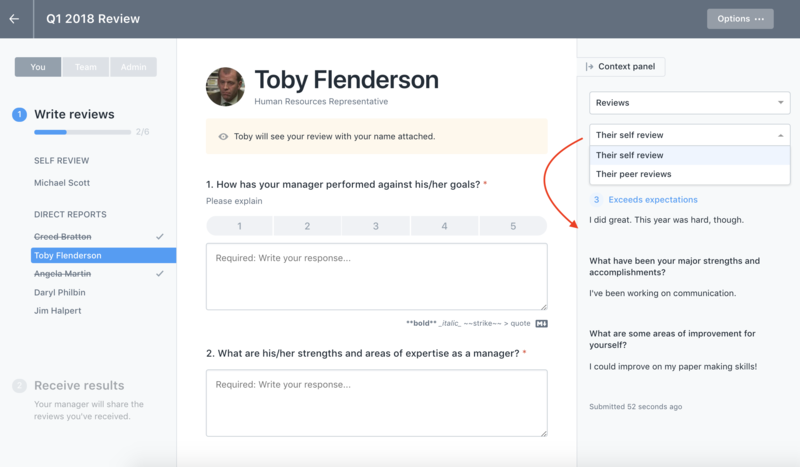 The feedback will show up in the right hand panel so you can write your review of that person while viewing their peer or self reviews.